Our StudioPhotoBooth is a mobile, portable, fully customisable studio, offering a range of different backdrops. Similar to PhotoBooth but more versatile. With StudioPhotoBooth you can have fun PhotoBooth style photographs together with beautiful portraiture suitable for enlargements to hang on your walls! Large groups are possible in the StudioPhotoBooth which is not possible with PhotoBooths! On site printing capabilities offering a range of photograph sizes, guests can purchase their prints or we can quote you on a specific number of photographs printed at the event! 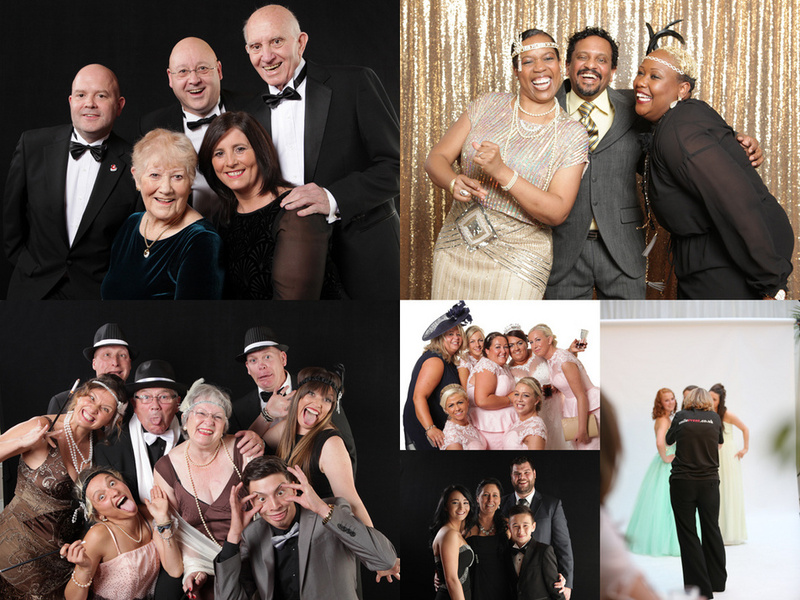 Why go to all the trouble and expense to organise your event but not record it with professional photographs? Depending on numbers and location we might be able to cover your event at no charge to the organiser! The guests just pay for their own photographs! We can also provide a PHOTOGRAPHIC GUEST BOOK available immediately for your guests to leave a message. Your guests will be able to view, purchase and have the mounted photographs in their hands at the party! The photographs will also be available to view online and available on CD. We capture the memories to look at time and time again!